Soft Bamboo fabric with elastane for a little extra stretch. Available in black only. 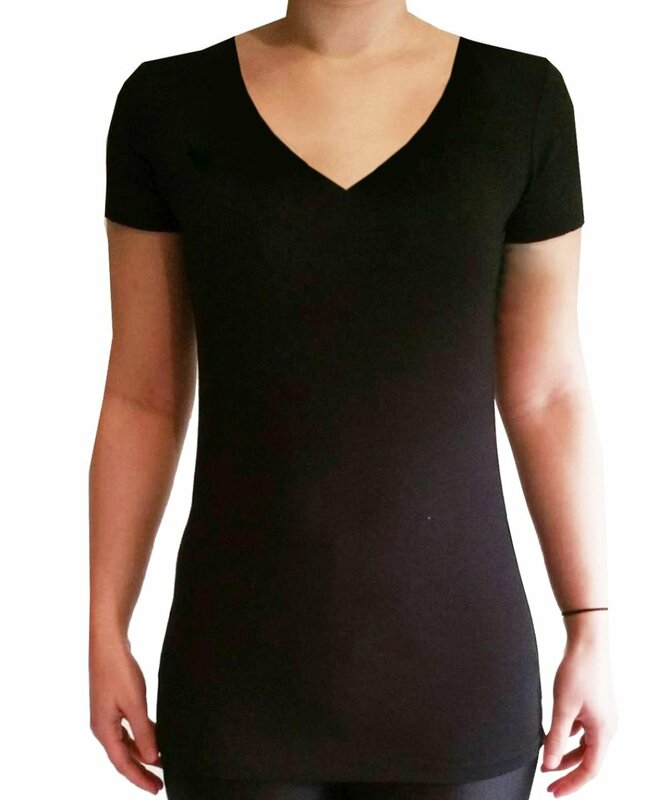 Flattering V neckline. Descret stitching. Fits gently against the body for comfort and warmth.